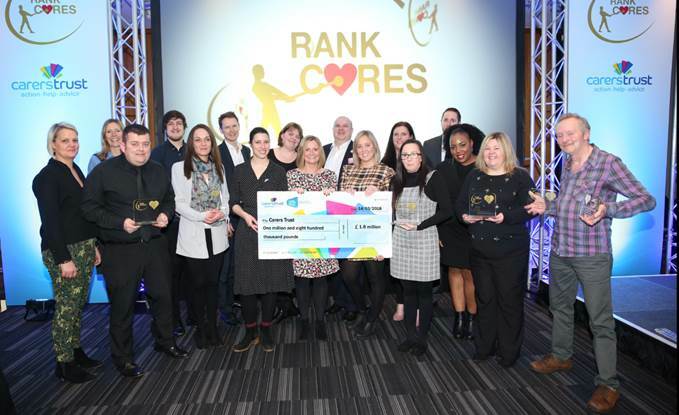 The valuable support of Rank Group staff and customers has been recognised at a special event in Coventry on 14th March, with regional winners across both Grosvenor Casinos and Mecca receiving awards for their contribution. The evening was an homage to those who have gone above and beyond with their fundraising, making a true difference in the lives of carers across the country and a celebration of the incredible £1.8 million raised throughout this partnership. 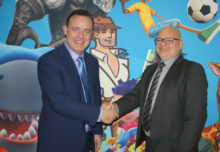 The event was attended by Rank employees from across the country, including CEO Henry Birch and Retail Director, Alan Morgan, along with Carers Trust representatives. 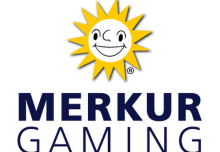 The partnership between Carers Trust and The Rank Group Plc, which owns Grosvenor Casinos and Mecca, first began four years ago. Since then, employees have worked tirelessly to raise money for this valuable cause through various charity initiatives, investing over 8,500 hours of their time to reach this impressive milestone. The funds raised have gone towards Rank Cares Grant Funds which were set up to provide financial support to carers aged 16 and above. The aim of these funds is to help remove the barriers placed on a person by their caring role and reduce some of the stress and isolation that can come with caring. Since 2014, more than 8,500 carers have been helped thanks to the Rank Cares grant programme, with essential equipment, much-needed breaks, the opportunity to learn new skills, and the chance to meet other socially isolated carers. Rank Group representatives were proud to name Grant Hallworth of Grosvenor Salford as overall charity champion, and Shakara Divers of Grosvenor Sheffield, Catherine Tucker (Grosvenor Broad Street), Dan Eade (Grosvenor Portsmouth) and Vicki Parker (The Vic)as the nation’s best fundraisers. Rank Group and Carers Trust also announced the continuation of their partnership into 2018, with renewed fundraising efforts aiming to hit the incredible target of £2 million.